When you think of a Napa Valley wine tour package, you may automatically think of luxury. Let’s face it — touring in Napa Valley can be quite expensive. But if you are resourceful enough, you can score great deals such as coupons, discounts, or wine tour packages especially if you go with a large family or a group of friends. Try the off-beaten-track wineries (e.g., wineries that are not usually along the main roads such as the Silverado Trail) which offer reasonably-priced tastings. One of the more challenging things to find in Napa Valley is the lodging. However, you can find less expensive lodging in downtown Napa. Some rooms will set you back at $90 to $100 (before taxes). You can find decent rooms and rates at some lodgings such as Wine Valley Lodge, Napa Discovery Inn, and Motel 6. If you want to have nice accommodations for free, you may also refer to Couchsurfing.com, which helps you connect with locals who would offer you a free room to stay! This website is recommended especially if you are traveling alone or as a couple. Napa Valley restaurants are famous for their world-class food, so like the wines, they will likely affect your wallet. If you want to survive in Napa on a budget yet still feel full, check out the sandwich shops or markets such as the Oxbow Public Market. It is the home of Gott’s Roadside which serves delectable burgers for under $8, while Michelin-starred chef Thomas Keller’s Ad Hoc Addendum offer goodies such as food truck-style fried chicken with sides for $15 per serving. You may also want to cook your own food by buying fresh produce at several markets in the region. 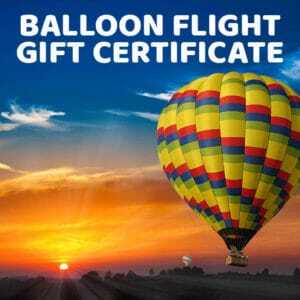 Want to go on an exciting balloon ride adventure without ruining your budget? Balloons Above the Valley (BATV) will take care of that! Our hot air balloon and wine tour packages are sure to be budget friendly. Many of our packages have fixed rates so that you will be able to plan your budget beforehand. Many visitors want to experience the rare hot air balloon ride because they know that it will give them the best views of Napa Valley that no other activity can offer. Neat rows of grapevines work like beautiful patches on the rolling hills and the valleys basking in the glow of the morning sunrise. If you want to have just hot air sunrise balloon flight, you may be interested in the Sunrise Balloon flight and brunch for $209 per head (it also includes pre-flight breakfast). But if you also want to go on an extensive on-the-ground wine tours with a hot air balloon flight, the Sunrise Balloon Flight – Champagne Brunch – Wine Tour ($608 per two persons) or the San Francisco Balloon and Wine Tour Packages ($836 per two persons) may be more to your liking. You will be able to save more when you go on a group tour (of 10 persons or more). BATV will accommodate you with our Group Tours option with negotiable pricing. Do you want to realize your dreams of making it to Napa Valley and riding a hot balloon ride but worry about your budget? Stretch it with some helpful money-saving traveling tips in Napa plus Balloons Above the Valley’s Napa Valley wine tour packages!